A few months ago, this column showed a cut-and-fold paper version of Escher’s Relativity. Here’s a new version, made of nylon by selective laser sintering on a 3D printing machine. 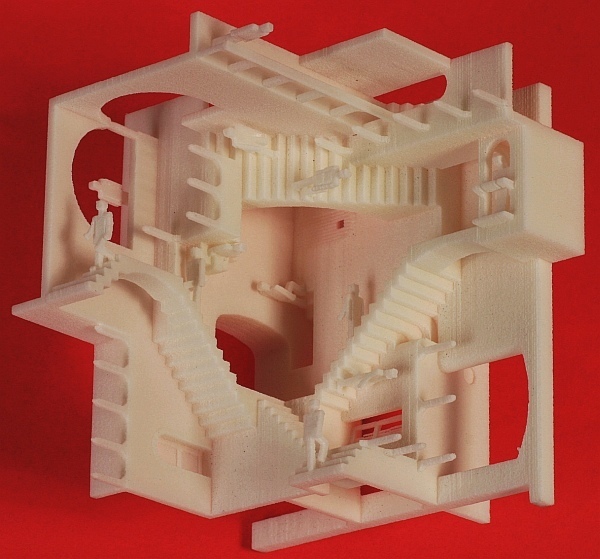 The 3D file for this was designed by Oded Fuhrmann and Gershon Elber, who present a number of Escher-inspired objects. I scaled this instance of it to be 9 cm across. Escher’s design is based on three walls of a cube, with the six axis directions (+/- X, Y, or Z) each understandable as the Up direction in some part of the structure. So it is confusing, but not an “impossible object” or trick of perspective. 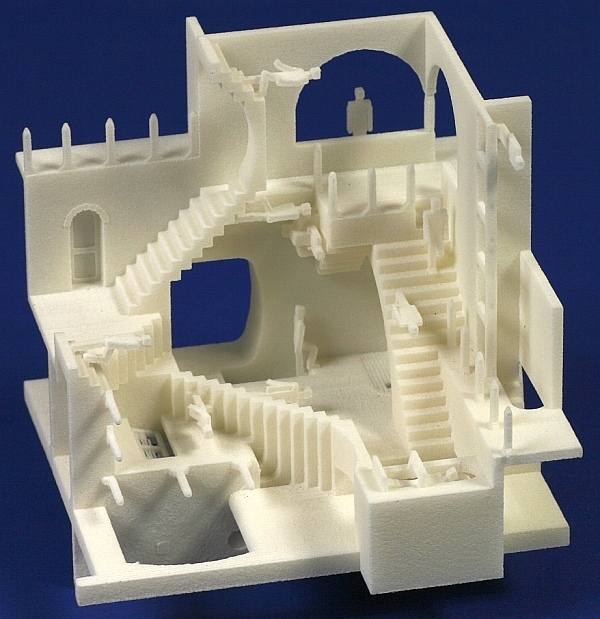 If you have access to a 3D printing machine and would like to make your own copy of Relativity, the stl file is available here, (c) Oded Fuhrmann (of Google) and Gershon Elber (of the Technion). This article first appeared on Make: Online, September 19, 2011.